A setting of this psalm for SATB choir and soloists, strings and continuo. The verses alternative between solo arias, full choruses, duets and trios. 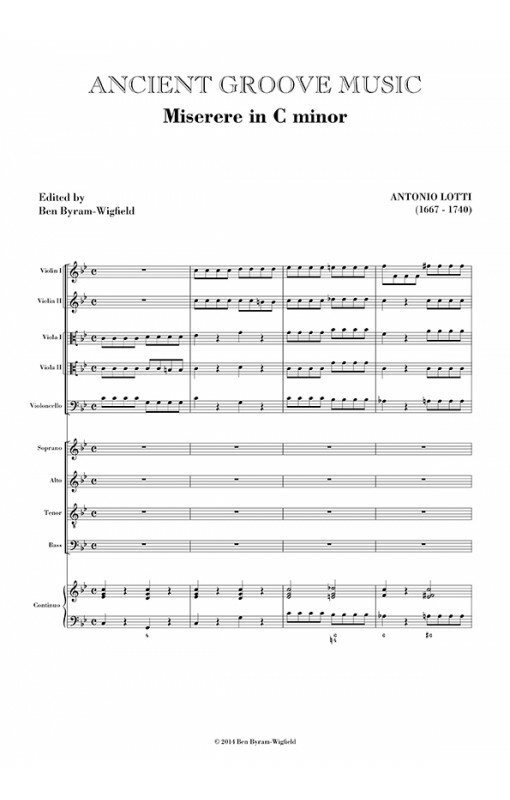 On of Lotti's finest concertato works, this piece is a sublime example of Lotti's inventive writing, set to the moving words of Vulgate Psalm 50. 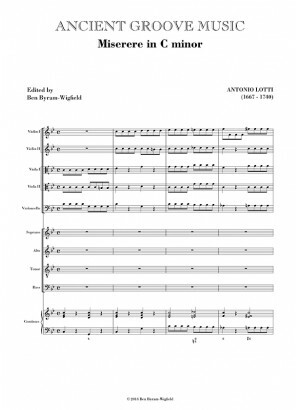 Vocal Scores and Instrumental Parts can also be purchased.